Malawi’s International Midfielder Robert Ng’ambi scored one of the goals in Platinum stars 3-1 victory against Supersport United in the Premier Soccer League. Ng’ambi scored the third goal and helped his side to move to position 1 on the log table of the Absa Premier Soccer League with 14 points from 6 games. 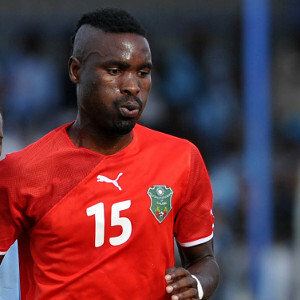 Ng’ambi is the only Malawian player who has scored a goal this season in the Premier Soccer League. Micium Mhone made his first debut for his South African Premier Soccer League (PSL) side Jomo Cosmos as a second half substitute on Sunday in a 0-2 defeat against Mamelodi Sundowns. Despite being brought in the field of play 13 minutes to full time, he showed the Cosmos Coach some quality footballing skills with an individual display. Atusaye Nyondo played a full game as his South African side University of Pretoria went down 0-2 to Bloemfontein Celtic. Nde choncho mumusiyenso muzaluze muone, kodi team ya flames mumaitenga ngati yakunyumba kwanu eti?…mxiiiiew…!!! Nde chonvho mumusiyenso muone, kodi team ya flames mumaitenga ngati yakunyumba kwanu eti?…mxiiiiew…!! !